ELECTRONIC EAR MUFF, SE1396 - Pan Taiwan Enterprise Co,. Ltd.
Multi-purpose: reduced noise level, protecting hearing sense, amplifying tone, and keeping off external loud noise. 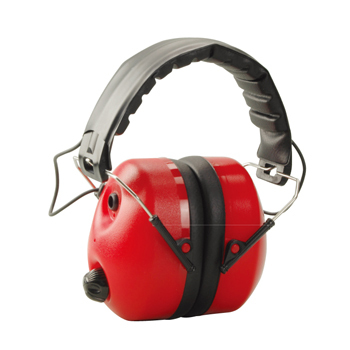 Serving as a standard earmuff when not activated to reduce noise level (NRR Value = 23dB). Receiving voice at frequency 400~4000 Hz, making voice clearer. Ideal in shooting, hunting, industrial training and many other applications. Easy cell replacement (1.5V x 2) simply by opening up the cell cabinet.